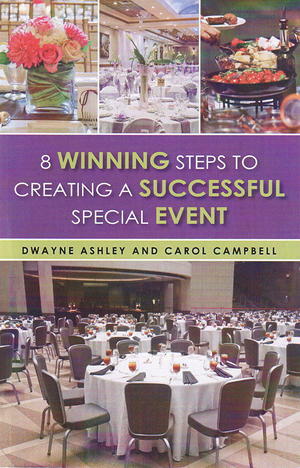 8 Winning Steps to Creating a Successful Special Event You don't have to have a million dollar budget to create a spectacular event. The goal of 8 Winning Steps to Creating a Successful Special Event is to provide you with the tools to create a memorable event experience for your guests while not breaking the bank. The easy to follow template serves as an start-to-finish guide on planning various types of events from networking socials to elaborate fundraising raising events. Whether you're planning for 20 people or 200, this book outlines the process and was kept short for a relatively quick read. This publication was written for everyday people who may not have a lot of event planning experience or money but want to produce quality special events: church groups, organization planning committees, community volunteers, parent/teacher organizations and many more. Highlights Include: Planning your event budget; Recruiting your leadership team; Producing a winning event; Promoting your event; Fixing event nightmares; and Understanding the difference between events and conferences.